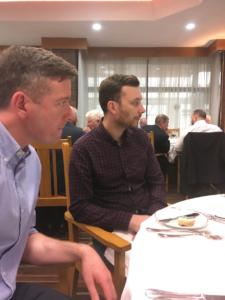 The 4th Annual Business Lunch was held on Friday 20th of October in Fitzwilliam Lawn Tennis Club and we had over 40 people sitting down for the lunch. The Business Lunch has become an important event on the PPU calendar. 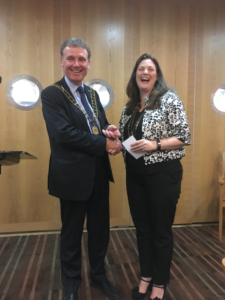 The Business Lunch raised €3,165 for the school and the PPU President Damien Byrne presented a cheque for this amount to the school principal Clare Catterson.